We are a Chinese carnival rides factory, I can say from the Chinese point of view. On the business side, I think the biggest development is that China is becoming the world’s largest amusement park market. 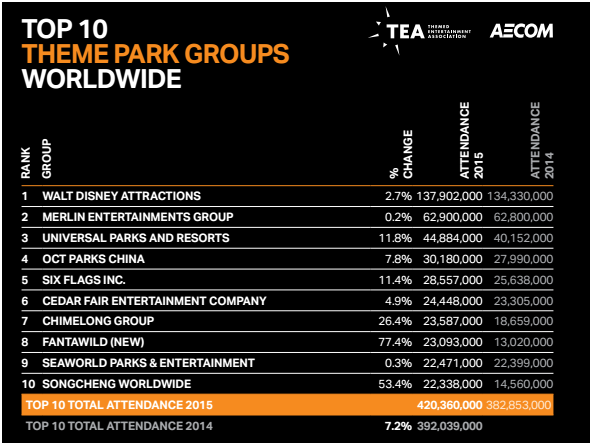 Here are some of the data in 2015 reported by Theme Entertainment Association. The world’s top ten theme park group, five in the United States, four in China, and one in the United Kingdom. More detailed data on Wikipedia. As you can see, in addition to the four companies are set up their new business no more than 20 years. The four companies in addition to OCT, the remaining three are also in the high-speed growth stage, far higher than the top ten other companies in the growth rate. 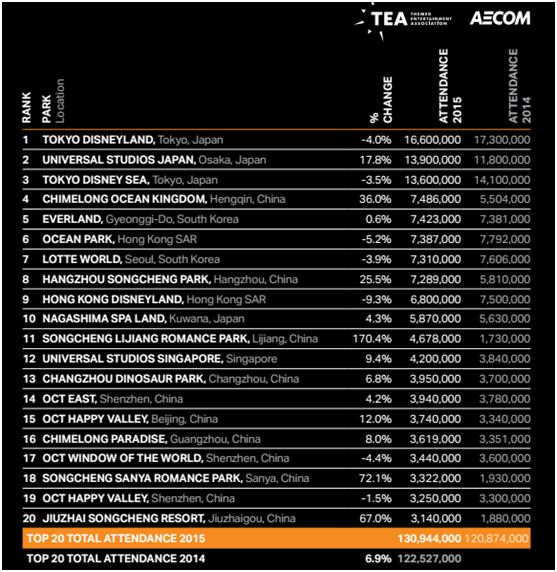 The top twenty theme parks in the Asia Pacific, In terms of customers traffic, Japan is more than 2 million in China and ranking occupied the top three. But in terms of the number of theme parks, the Japan only has 4 theme parks while China has as much as 11. What’s more, the Japan’s customer traffic is decreasing and China is increasing, even at a very high growth rate. It is reported that China will become the world’s largest theme park market by 2020. If you want to know more, click here TEA theme index 2015 to acquire more information. Our company is also benefiting from the ever-expanding Chinese market. Of course, there are many problems in the rapid development of the market, but the overall is forward a good direction in the development.